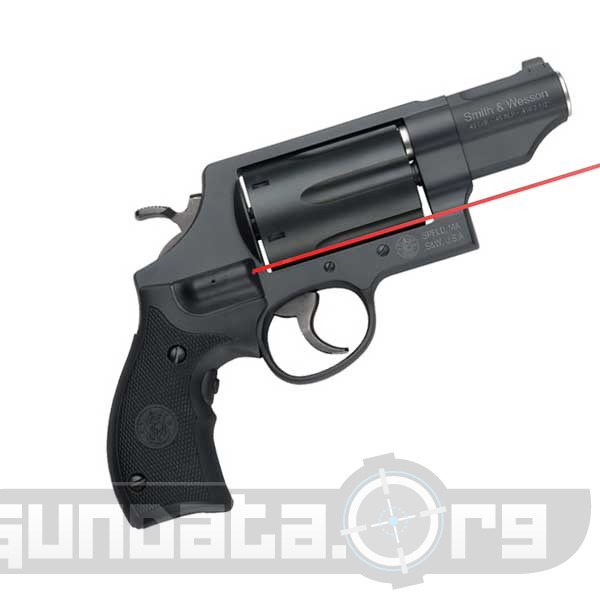 The Crimson Trace version of the Smith & Wesson Governor is a 6 round small revolver that fires .410 shells. 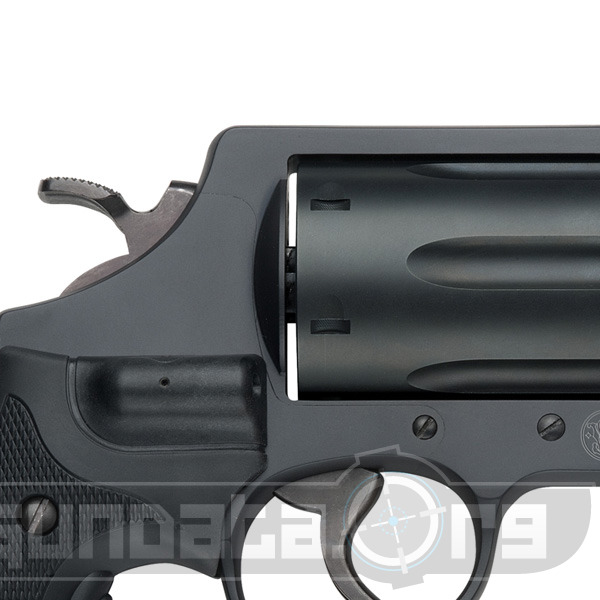 It has a 2.75" barrel, and is 8.5" long in total. 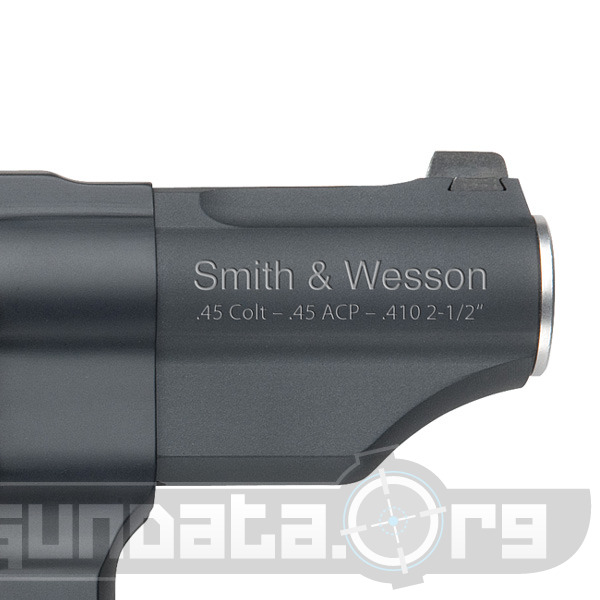 This gun also fires .45 ACP, and 45 Colt, you can actually mix and match the 3 different rounds making for a recoil consistency. 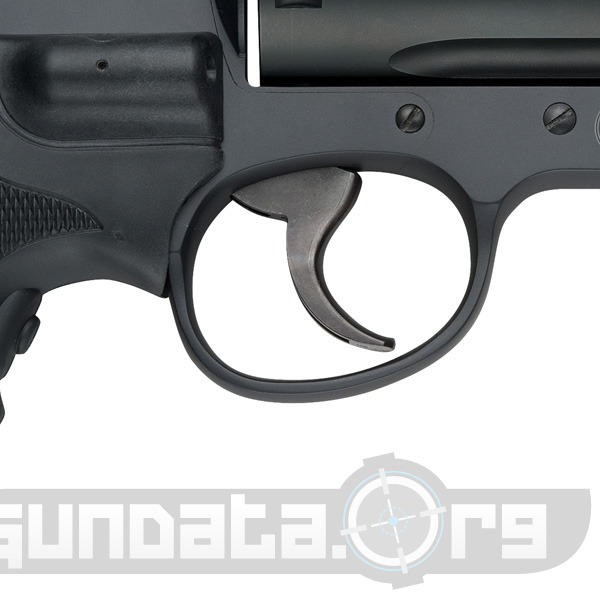 This gun is made from Scandium Alloy (a rare earth metal originally found in Scandinavia) and has stainless PVD cylinder. The crimson trace laser grip ads something of an intimidation factor as well as adding the ability to simply point and shoot in dark areas. While this laser concept works well with this handgun it's sort of funny to think of how it might look transposed onto .410 as a shotgun. 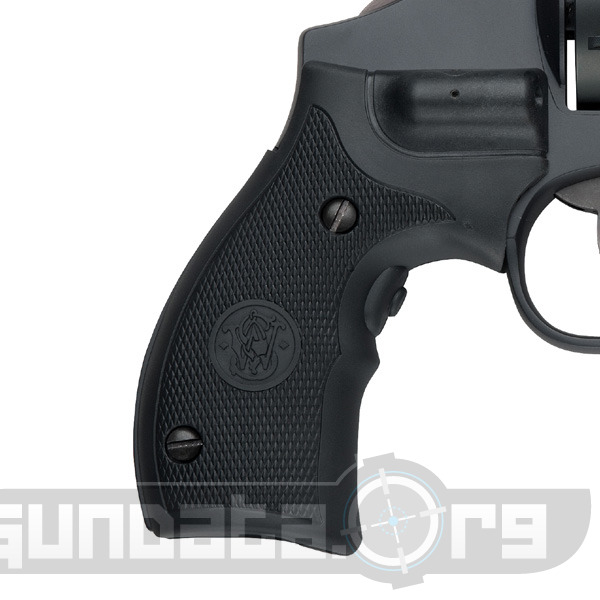 All in all a cool little gun that will work great for home defense or the car. If you have 1 post your photos, if you've fired on post your reviews and comments. Thanks!